THE UNEMPLOYED EATER: BUY ONE, GET ONE Today at Mendocino Farms. 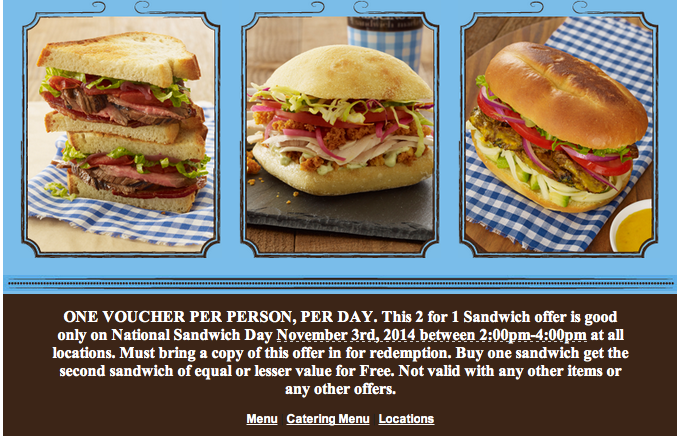 BUY ONE, GET ONE Today at Mendocino Farms. Today is National Sandwich Day, which pretty much just serves as an excuse to not eat a salad for lunch on a Monday (to amend for your weekend-long gastronomically nutritional lethargy). Excuses aside though, sandwiches are amazing. I love them almost as much as I love my grandmother. So, a holiday celebrating two slices-meat-cheese-condiments-and some healthy vegetable detritus? Yes, please. However, sometimes the most challenging aspect of national holidays like this though is figuring out where to celebrate. Mendocino Farms wants to make the decision for you. 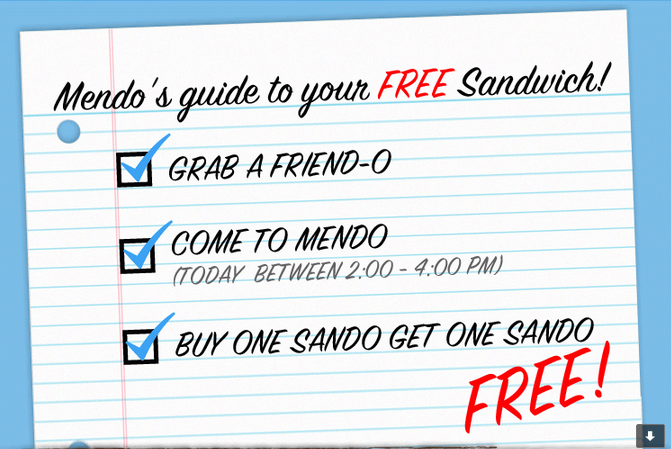 Today, 11/3/14, at all Mendo locations, from 2-4 pm, they're offering Buy One Sandwich, Get One Free.